Our setup wizard will get you up and running quickly. Just answer a few questions and we'll configure your account to get you started. 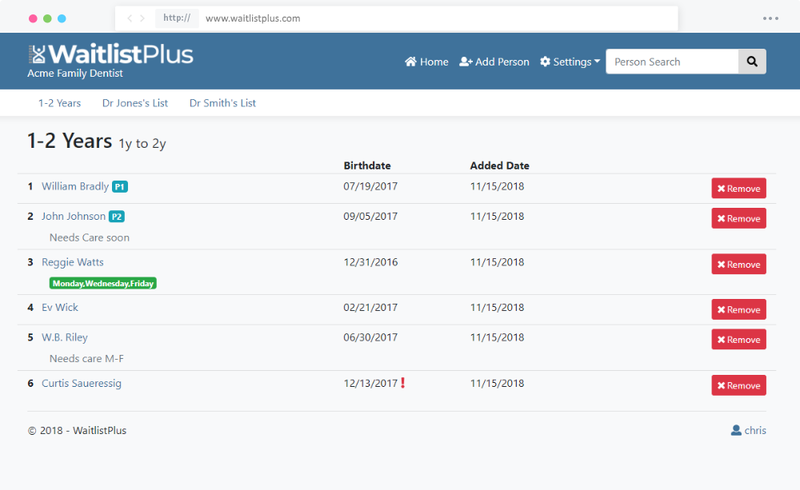 Customize your lists with custom fields, age and date ranges, your company colors, and much more. 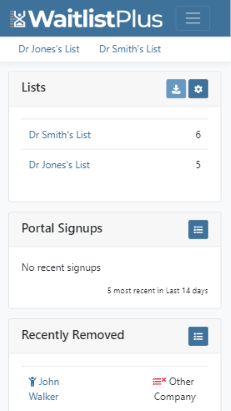 You get an email when new cutomers signup on your portal. Your customers get an email when they signup too, and you can automatically send reminders to them. Easy to use, yet highly customizable. Most features can be turned off/on and customized to meet your needs. Create as many as you need. 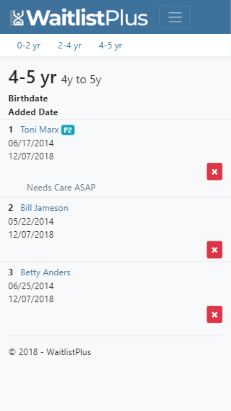 Lists can be based on age, a date range, or nothing at all. The default ranking is based on the date they were added to the list, but you can also manually drag them up or down. Create priorities that bring certian customers up to the front of the list. Your customers can add themselves to your list, check on their status, and remove themselves all online. 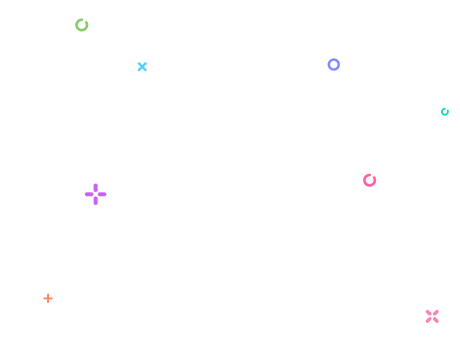 Customize your portal with your company colors. Send periodic reminder emails to your customers and allow them to see their position on the list. 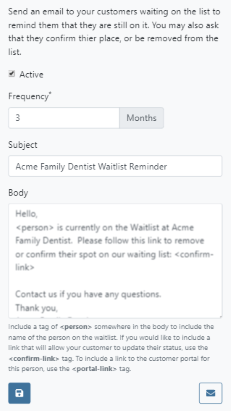 You can customize the content of the emails and control how much, if any, of the waiting list data they can see. 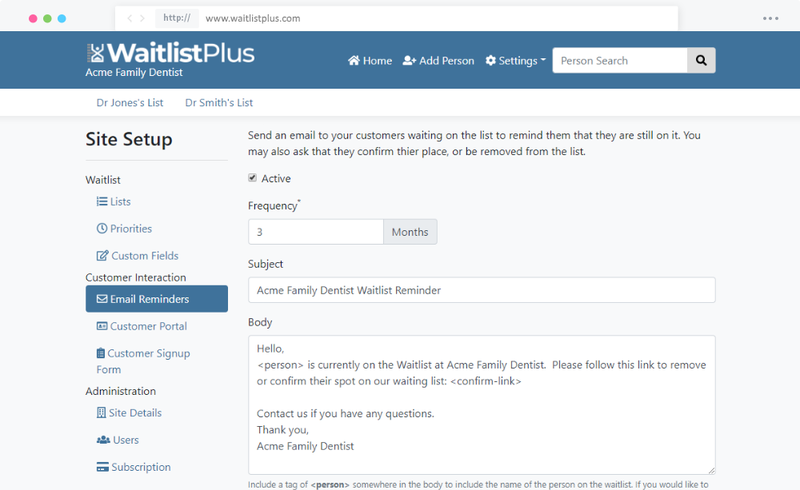 Additional features include: Family management, note/comment keeping, custom fields, user management, dashboard, and more being added all the time. Manage child and parent information. 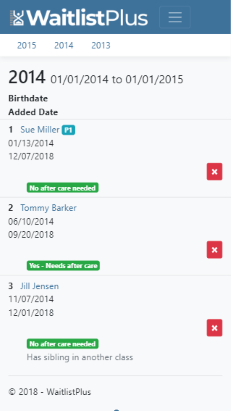 Use birthdates to place children on the correct list. As children age, they move to the next list automatically. Learn more. Create lists based on start and end dates of school ages. Students will be put into the correct list based on their birthdate. Also, manage family information. Learn more. Mangae your patient waiting list to keep your practice at max capacity. Learn more. There are endless possibilities with our highly customizable wailist. 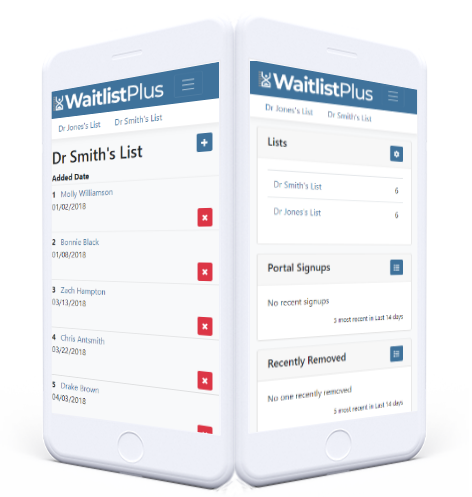 If you have a long-term waitlist then chances are we have a solution for you. Start your 30 day free trial now, no payment nessecary. Two plans that won't break your budget. Use your preferred method of communication. We'll do our best to respond to all questions within 24 hours. Absolutely! First, create an account and complete the setup wizard. 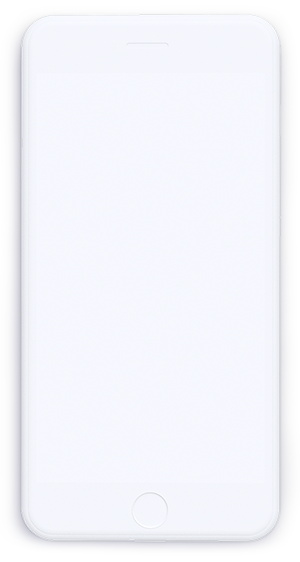 That will get you up and running with a basic configuration. Then send us an email ([email protected]), describing how you want to manage your list and what features you would like, and we'll guide you through the rest of the setup process. Yes, we can help you load your data. Due to the many formats that your data could be in, we do most of the work for you. During your trial, send us your data and we'll let you know if and how much of it can be imported. Once you pay for a subscription, we will work with you to get it loaded to your account. Very Safe! We take great precaution in making sure that the data you supply is transfered and stored safely. Learn more. 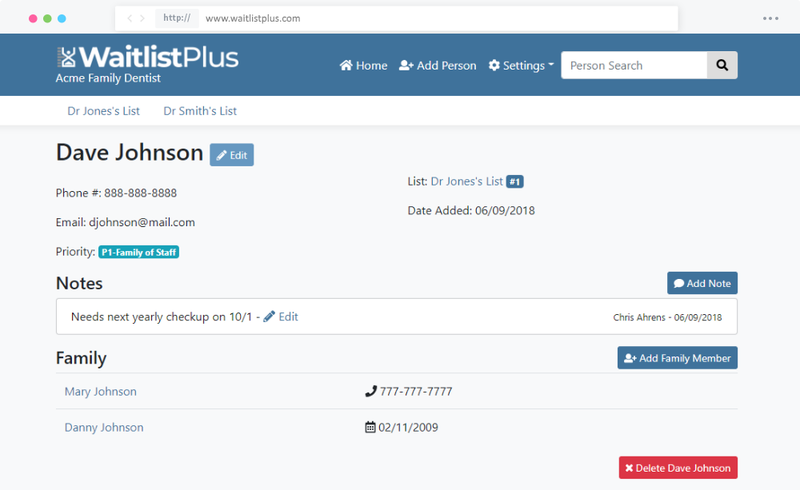 We started Waitlist Plus in 2018, but waitlist software is not new to us. We created DaycareWaitlist.com in 2012. 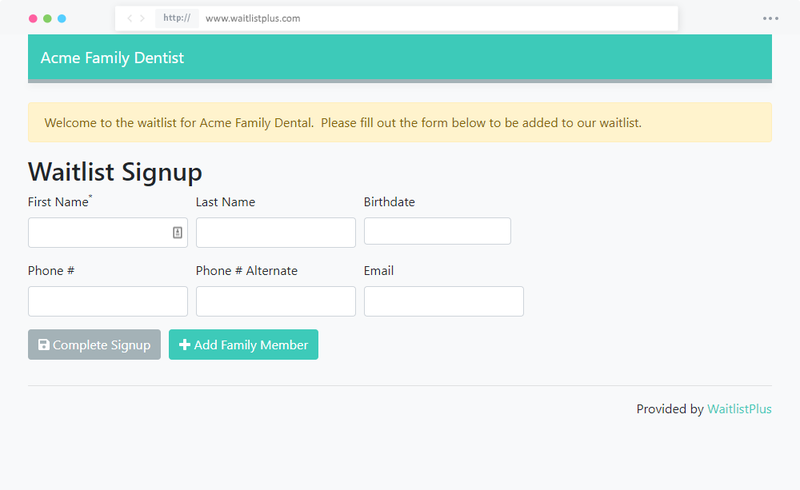 It's the most complete waitlist management tool for childcares. 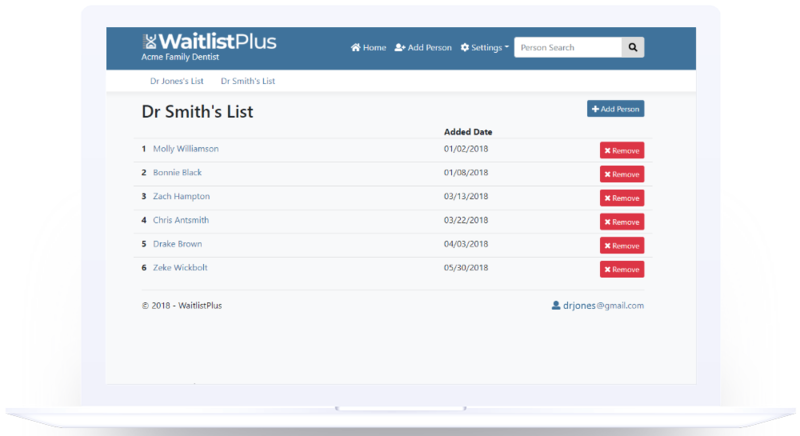 After being contacted by so many non-childcare businesses, we decided to create a waitlist management tool that wasn't so tailored to childcare.